On Tuesday, Midcoast volunteers from Mainers for Fair Wages kicked off a regional signature collection drive to place a minimum wage increase on the 2016 ballot. 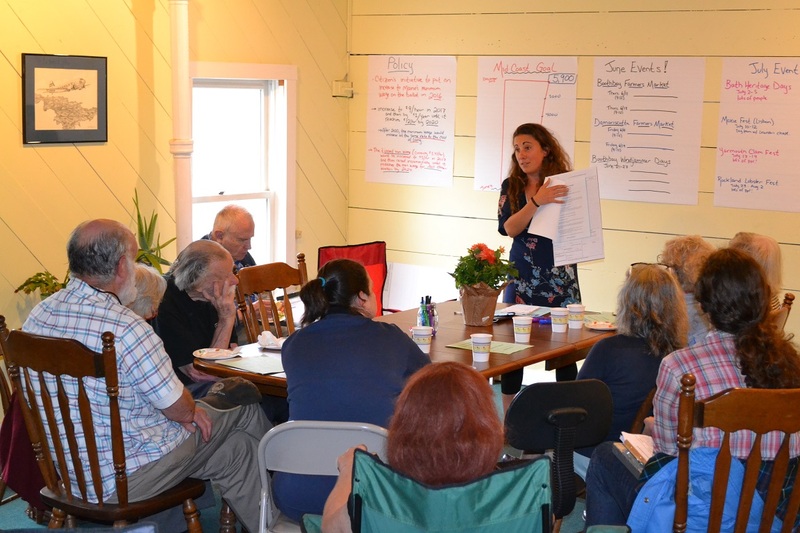 Volunteers gathered in Damariscotta to celebrate the opening of their new office, learn about the referendum process, and receive petitions. In April, the Maine People's Alliance (MPA) and Maine AFL-CIO submitted the paperwork to launch a citizens' initiative to raise Maine's minimum wage to $9 in 2017 and then by $1 a year until it reaches $12 by 2020. After that it would increase at the same rate as the cost of living. The initiative would also incrementally raise the tipped minimum wage until it matches the minimum wage for all other workers by 2024. Last week the Secretary of State's office formally approved the petition language. Among the participants at the kick off was Brandy Staples, who lives in Phippsburg and works for a low-wage retailer. Alex Jackimovicz, a small business owner from Boothbay, also came to pick up petitions. “An increase in the minimum wage would be great for all Midcoast businesses,” said Jackimovicz. “When workers make more, they spend more locally and we all do better together." This event is one of a series of regional grassroots kick off events taking place across the state in the month of June. Last week volunteers began collecting signatures in the Portland area. In May, the campaign concluded its first month-long fundraising campaign, meeting its goal to raise $30,000 in grassroots contributions from over 800 small donors. Pictured: MPA Midcoast organizer Caroline Ginsberg trains volunteers on petition management and signature collection.